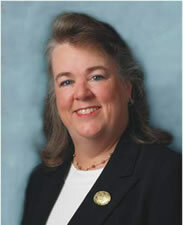 Jane joined Gonser Gerber in 1995 and became a partner in 1999. She has more than 25 years of experience in institutional advancement. Her professional experience prior to joining Gonser Gerber includes serving as Deputy Director of the Campaign for Sewanee, Director of Area Campaigns, and Director of Annual Giving at the University of the South, Sewanee, Tennessee. The University’s $91.5 million campaign was successfully concluded with a total of $107.7 million received. The Annual Fund reached record totals in excess of $1.5 million each year under her direction. Jane also served as Director of Annual Giving at Darlington School in Rome, Georgia, and as Director of Development at Sheridan School in Washington, D.C. At Sheridan, she directed all fund-raising, alumni relations, and public relations activities and maintained 95% parent participation all 5 years she was there. Spoken on topics such as major gifts, emerging trends in annual giving, development planning, and planned giving for organizations such as the Council for Advancement and Support of Education, Council of Independent Colleges, Association of Lutheran Development Executives, Association of Fundraising Professionals, Leave a Legacy, and Council for Christian Colleges and Universities. Served as an adjunct faculty member of the Philanthropy and Development master’s program at St. Mary’s University of Minnesota in Winona, Minnesota for eleven years. Membership in professional organizations including CASE, AFP, and the Association of Healthcare Philanthropy. Founding member of the Development Council of the Association of Independent Schools of Greater Washington and is a former chair of the council.